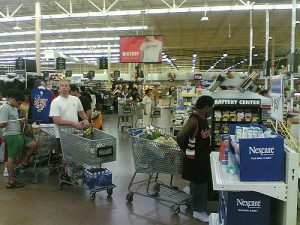 You run to Walmart, grab a few things you need and head for the shortest check-out line. You think to yourself, this must be my lucky day. There are only three people in line ahead of me. You wait in line, somewhat patiently, until a lady ahead of you has trouble with her credit card. They run the card several times, with no success. The cashier calls for a supervisor. After what seems like forever, the supervisor finally arrives, but she can’t get the card to work either. The frustrated customer rummages through her purse hoping to find enough cash. She doesn’t have nearly enough money, so she starts sorting through her items to see which ones she can purchase. At this point, the shopper at the register is not the only one who is irritated. You and everyone else in line are visibly impatient. Some are beginning to grumble out loud. Has something similar to this happened to you? We have all been in situations where waiting is really frustrating, haven’t we? Did you know that the Bible talks a lot about “waiting on God”? Don’t groan out loud, though. The Bible is referring to a type of waiting that is very different from that long wait in the Walmart checkout line. The Bible is telling us that waiting on God is good, even exciting! How in the world could waiting on God be exciting? Think about it this way. Do you remember how you looked forward to your birthday or to Christmas morning as a child? You eagerly counted the days until that great event because you KNEW that good things were coming. You were excited because you were anticipating something good, and you were convinced that it was going to happen. “…Christ is proclaimed, and in this I rejoice. Yes, and I will rejoice, …according to my earnest expectation and hope, that I will not be put to shame in anything, but that with all boldness, Christ will even now, as always, be exalted in my body, whether by life or by death” (Philippians 1:18, 20). The time Paul spent waiting in prison was actually turned into something wonderful because the good news about the Lord that he dearly loved was spreading (see Philippians 1:12-14). Waiting can be wonderful for us too, but only if we are followers of Christ. Those who follow Him know that at one time they were helpless sinners who had been rescued by Jesus Christ. After He changes our hearts, we find ourselves “looking for the blessed hope and the appearing of the glory of our great God and Savior, Christ Jesus, who gave Himself for us to redeem us from every lawless deed, and to purify for Himself a people for His own possession, zealous for good deeds” (Titus 2:13–14). Waiting on the Lord, means we are boldly trusting that the Lord is good. It has many benefits. Here are just four. #1 God hears the prayers of those who wait on Him. “I waited patiently for the Lord; and He inclined to me and heard my cry” (Psalm 40:1). #2 God gives happiness to those who wait on Him. “The Lord longs to be gracious to you, and therefore He waits on high to have compassion on you…. How blessed [i.e. happy] are all those who long for Him” (Isaiah 30:18). #3 God gives confidence to those who wait on Him. “… you will know that I am the Lord; those who hopefully wait for Me will not be put to shame” (Isaiah 49:23). #4 God gives excitement and energy to those who wait on Him. “Though youths grow weary and tired, and vigorous young men stumble badly, yet those who wait for the Lord will gain new strength; they will mount up with wings like eagles, they will run and not get tired, they will walk and not become weary” (Isaiah 40:30–31). “Wait for the Lord; be strong and let your heart take courage; yes, wait for the Lord” (Psalm 27:14). If you want to discover how wonderful waiting on God can be, then put your faith in Christ. God will show His goodness to you, too. “‘The Lord is my portion,’ says my soul, ‘Therefore I have hope in Him.’ The Lord is good to those who wait for Him, to the person who seeks Him” (Lamentations 3:24–25).